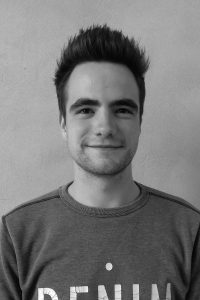 Thomas Van Gils is a graduate in cultural studies with a passion for film. Trough internships at two different film festivals, Docville and MOOOV, his interest in the film industry only grew. While he was still a student, he gained experience in the business by working as a temporary employee during the MOOOV film festival. At Clin d’oeil films Thomas is in charge of the promotion, print traffic and all round tasks. He’s young and dynamic and makes sure that all practical matters are quickly arranged. In this way he ensures that teams can work together in a pleasant way.